Catering for the growing number of children with allergies was an important factor when creating our range of education products. We needed to balance fantastic taste, texture and consistency with ingredients that are free from many allergens. In order to make a school caterer’s life less complicated, Young’s developed a product that is free from everything, but taste! ‘Young’s Omega 3 Fish Fingers Free From Wheat, Gluten and Milk’ are made from 100% Alaska pollock fillet and feature a delicious crispy coating to provide a tasty, fuss-free menu choice that is perfect for both children with allergies, as well as those without. This ensures that school caterers can offer all children the same great tasting menu, without those with an allergy feeling ‘different’ or excluded due to their condition. 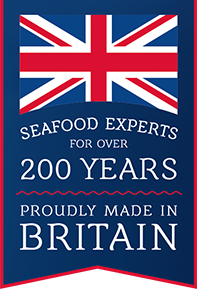 Other products in our range which are free from Wheat, Gluten and Milk include; Young’s Ultimate Fishcakes and Young’s Ultimate Fish Fingers, both of which are made from Alaska pollock. Alaska pollock is naturally high in many essential vitamins including, E, C, D and A as well as being a source of Omega 3, which is proven to strengthen the immune system, lower the risk of heart disease and have many other health benefits.